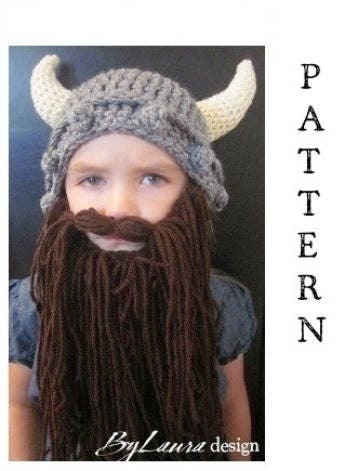 CROCHET PATTERN for a Viking HAT for Toddlers and Kids! It has pages of in-depth information, a size chart and lots of pictures to make your beard-making experience as easy as possible! PLEASE NOTE:This is a non-refundable sale so please read everything carefully. NOTE ON COPYRIGHT: When you purchase this pattern you are agreeing to use it for personal use only. You do not have permission to sell the item the pattern creates. You may not copy the pattern or distribute it. You may print one copy for personal use but may not print multiples to distribute, nor may you share the digital file or shared links with others. Please direct your friends to this store so that they can purchase their own copy.